George E. Saba, Jr. , Esq. | ADR Options, Inc.
George E. Saba, Jr. , Esq. 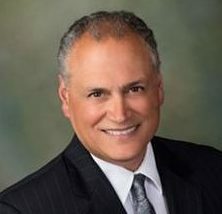 Mr. Saba has been elected by both Plaintiffs and Defendants as a Mediator/Arbitrator in multiple cases including personal injury, commercial and business disputes, construction claims and insurance coverage claims and losses. George E. Saba, Jr. is Board Certified in Trial and Advocacy and has been recognized as a Fellow by the Litigation Counsel of America. He has been recognized as a Super Lawyer for over ten years and has received an “AV” rating from Martindale Hubbell. Mr. Saba’s practice has focused on construction, insurance, products liability, errors & omissions claims, professional liability, premises liability, auto law and commercial and property disputes. He handled cases throughout Pennsylvania and other states, including Florida, for over thirty years. Mr. Saba has had significant trial experience and has handled multiple large exposure claims. He has been selected as an expert in insurance litigation by both Plaintiffs and insurance carriers. He is a past President of the Northeastern Pennsylvania Trial Lawyers Association and previously served as a Court-Appointed Special Trial Master in Luzerne County since 1993. Admitted to practice by the Pennsylvania Supreme Court, The United States Court for the Middle and Eastern District of Pennsylvania and The United States Court of Appeals for the Third Circuit. Frequent lecturer for the PBI and National Business Institute and PATLA. Past President of the Northeastern Pennsylvania Trial Lawyers Association (1993-94). Authored numerous articles on avoiding bad faith, risk management, claims handling practices and litigation tactics, strategy, auto law, malpractice, products liability and punitive damages. Wilkes University, with honors- 1982.